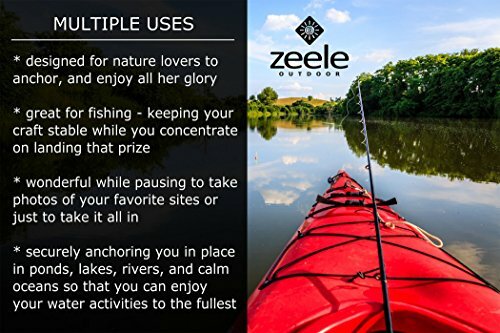 ★ MUTLIPLE USES: Designed for nature lovers, water sports enthusiasts and kayak anglers, it safely and securely anchors you in place in rivers, lakes, ponds or calm oceans, and allows you to enjoy your surroundings, focus on your environment, bird watch, fish, take photos or just relax. 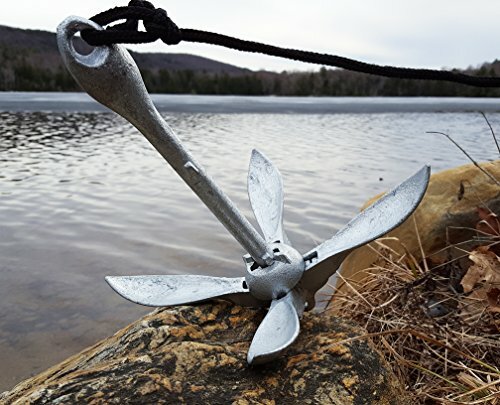 ★ EXTREME DURABILITY: Painted anchors are prone to chip and won’t outlast strong, galvanized iron that’s naturally resistant to rust providing many years of constant use. 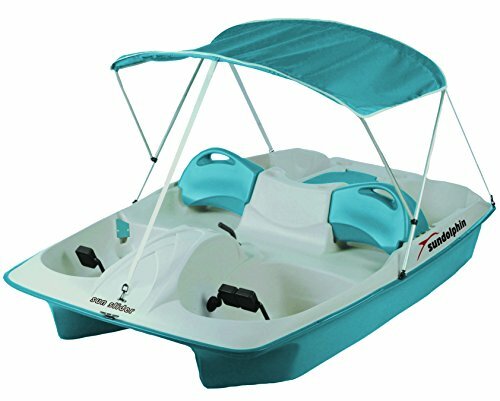 Our 40 ft. strong and lightweight floating polypropolene rope helps create better horizontal drag enabling the small boat anchor to hold firm. 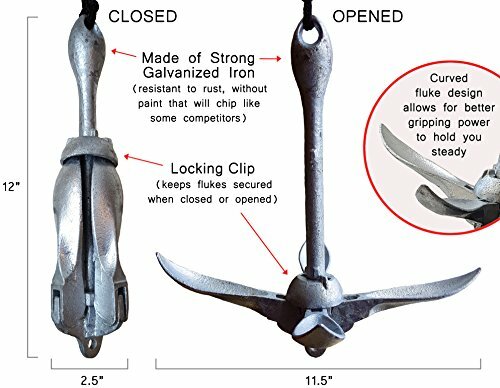 ★ EASY TO USE: The simple to use collar simply spins to release the 4 grapple flukes, then locks back down to keep them securely in place. 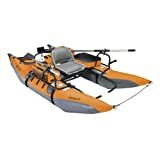 It effortlessly folds back up to 12″ x 2.5″, is ready for next time and is one of the necessary kayak fishing accessories. 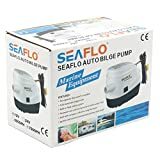 The best small craft anchor money can buy. 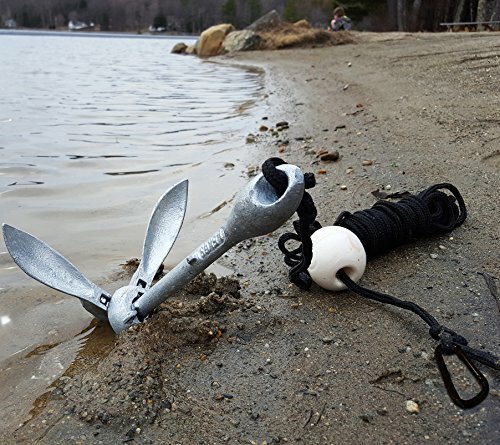 Our quality kayak anchor is exactly what you need to secure your small craft on a pond, lake, river or even a calm ocean. 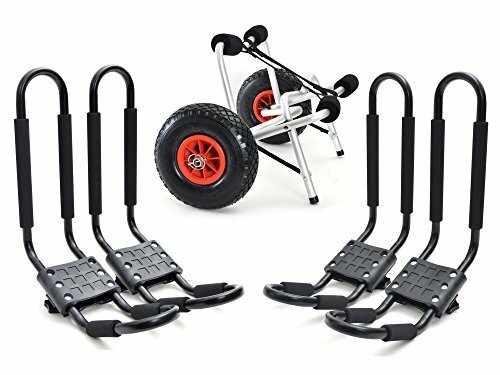 It’s made from premium quality hot-dipped galvanized iron that is 100% rust-resistant unlike other painted anchors that will chip and rust over time. The included 40 foot marine grade polypropolene rope can withstand the elements and the extra length will help you create horizontal drag for maximum hold on sandy, weedy and rocky, uneven bottoms. The anchor, rope, buoy, and stainless steel S hook conveniently stows in the included nylon bag, and will be ready for use whenever you are. 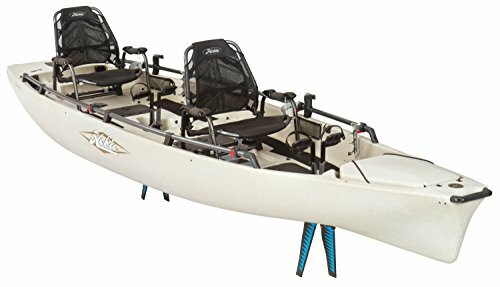 Any kayak angler who is serious about catching fish needs to know they can concentrate on catching their prize, and not wrangling for position at the same time. 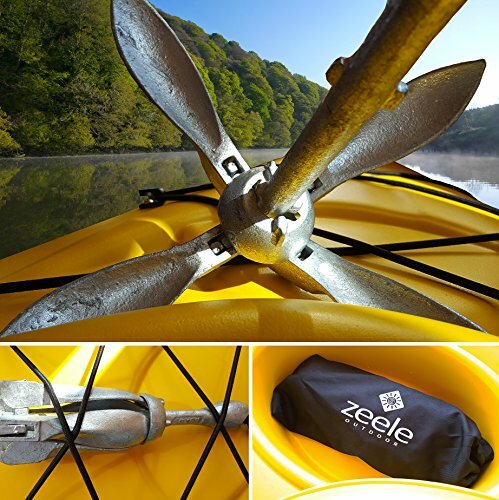 The Zeele Outdoor kayak fishing anchor is ready when you are, and is a necessary kayak accessory that will make your days out on the water even more enjoyable. At Zeele Outdoor, we stand behind our products and you can be rest assured your satisfaction is 100% guaranteed. Our customer service team is here to help and answer any questions you may have. 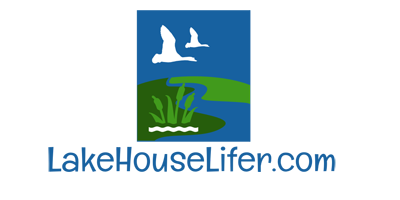 So enjoy your fishing, bird-watching, or whatever your favorite water activities may be, and you can count on our anchor to be there for many years to come. 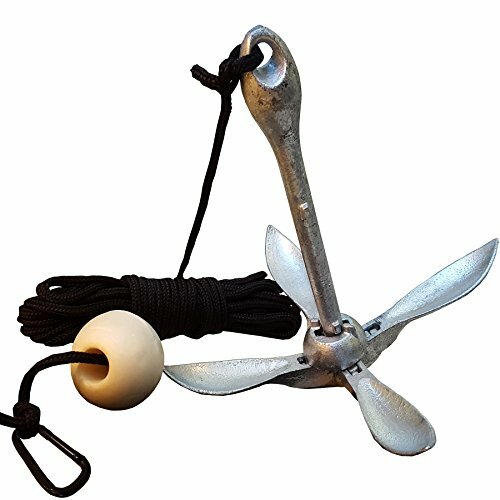 ★ PERFECT FOR KAYAK FISHING: The anchor is compact, folds, stows easily, and is ready in seconds. 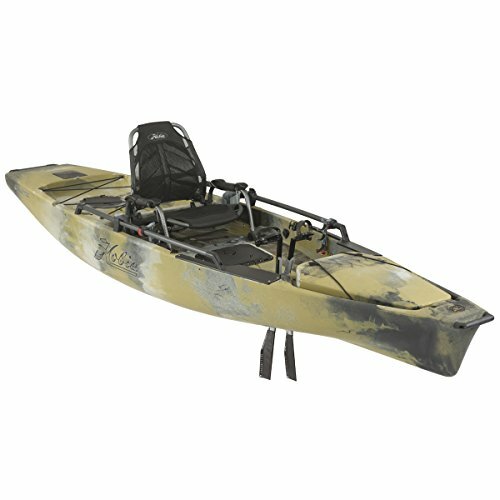 It won’t get in the way of all your kayak fishing gear and will keep your craft secure along sandy, rocky, and weedy bottoms, holding you in perfect position to land that prize. 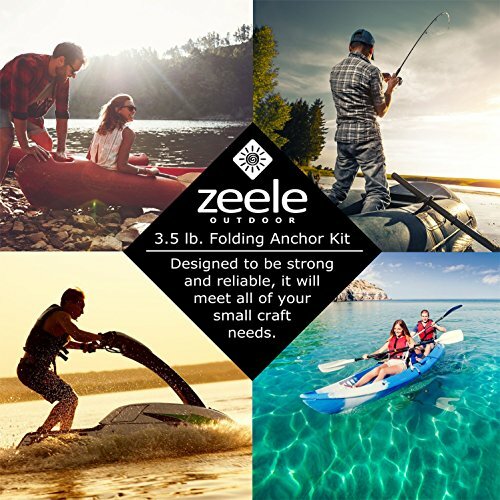 ★ SATISFACTION GUARANTEED: You’re automatically covered by a 1-year unlimited warranty for any Zeele Outdoor product. We know you’ll love our products, but if for some reason you’re not fully satisfied, our customer service team is here to serve you.